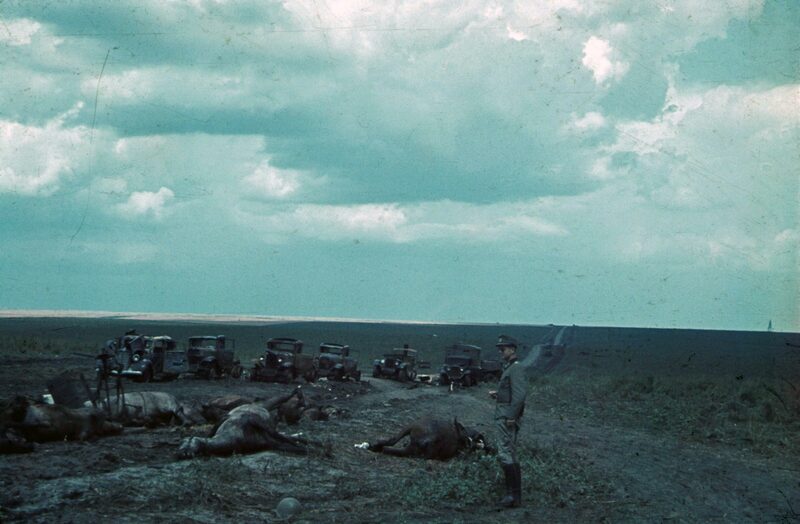 Color photo of the Second World War: Soviet truck convoy destroyed by German aircraft of the Luftwaffe. In the foreground is a German officer of the Nazi Wehrmacht and the corpses of Russian horses killed during an air raid. Eastern front.